The quality of sleep we get affects every aspect of our lives — however 40% of Americans don’t get the amount of sleep necessary for performing their best. 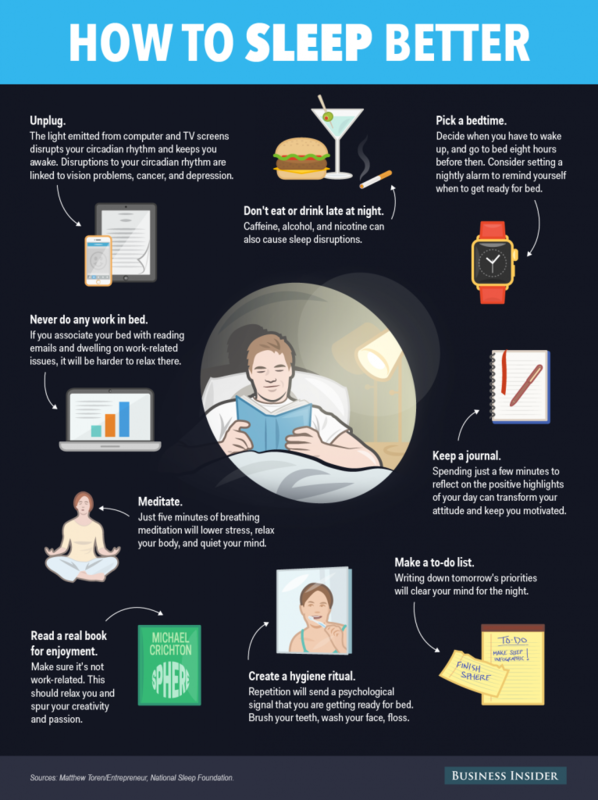 Fortunately, with a few simple additions to your nightly routine, you can transform your physical and mental well-being and set yourself up for success. Establishing a bedtime ritual is the key to sleeping longer, better, and starting your days more refreshed and energized. Author: Mike Nudelman is Business Insider’s editorial Graphic Designer. Image: Delegates rest during a break of the plenary session at the U.N. Climate Change Conference. REUTERS/Enrique Castro-Mendivil.